At SoftPaws.com, we receive many messages from people who already have declaw surgeries scheduled for their cat. It is necessary for them to find a fast resolution to their cat scratching problem before more property is damaged, and they would also like an affordable option. These are the reasons these folks have made a declaw surgery appointment, but they are having second thoughts because of something they read or were told that has them questioning whether declawing is humane. Declaw surgery is 10 individual amputation surgeries (18 if rear claws are also removed). It is not a nail trim, and it isn't a simple claw removal. In order to remove a cat's claws and keep them from re-growing, the tissue from which the claw grows must be permanently removed. That means amputating each of the cat's toes up to the first joint. Declaw surgery is extremely painful for cats, as any amputation surgery is. In the case of a declaw surgery, the cat must actually walk on the declaw sites, making it even more excruciating. This is because a cat is a digitigrade animal, which means that they walk on their toes, rather than being plantigrade like humans, who walk on their feet. Opening up of one or more of the surgical sites. It's common for declaw incisions to open up because the cat must put all of his weight on them while they are trying to heal. Then, further surgery may be required, or there may be a need for bandaging, confining the cat, and re-bandaging the paws until the incisions finally completely heal. Infection. Just think, the kitty actually walks on these toe incisions and must use the litter box with them. Infection is a common problem secondary to declaw surgeries. Regrowth of abnormal claws. Sometimes a nail bed is not completely removed, and claws may regrow. These are usually misshapen, and they grow right through the cat's skin, which was closed up during surgery. Litter box avoidance. This is a hugely common consequence of declawing, and the surgery isn't always correctly identified as the cause. A cat that experiences pain from amputated toes while using the litter box may misconstrue the cause of the pain, blaming the litter box and avoiding it in the future. Stress also causes inappropriate urination in cats, and being in pain from a declaw surgery is hugely stressful. You can add the price of cleaning products and new furniture to replace that ruined by cat urine to your declaw cost. Chronic pain and arthritis. Some cats experience chronic pain after declaw surgeries, and many of them develop early arthritis in their toes that keeps them from jumping, climbing, and playing normally. 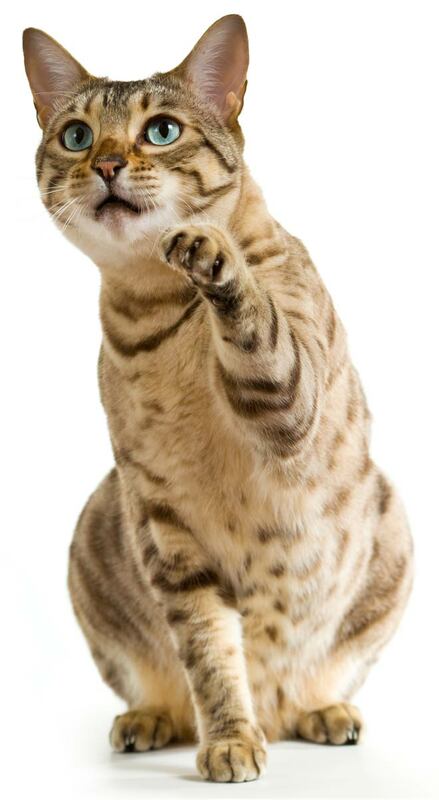 Declaw surgery decreases a cat's quality of life and increases the costs of caring for a cat with pain and arthritis. As you can see, if you are looking for a cheap and easy fix to your cat scratching problems, declawing is not it. Beyond the cost of the surgery itself, you are highly likely to need to deal with costs related to complications both short and long term. Not only that, but declawing is inhumane because it is a painful process that has no benefit to the cat. Plus, declawing is a major surgery that requires full general anesthesia. As with any such procedure, declaw surgeries carry a risk of anesthetic-related death. Unlike declawing, using Soft Paws® on your cat's claws is truly an inexpensive and fast way to mitigate property damage from cat scratching. Putting the caps on takes a little practice for you and some getting used to for your cat, but the vast majority of cats tolerate them extremely well. That means that in the time it takes you to apply the Soft Paws®, you will have greatly reduced or eliminated scratching damage in your home. And the price is right, too. For $19.95, you get 40 claw caps plus 2 tubes of adhesive and applicator tips. If you only place the caps on your cat's front claws, you will have enough for 4 applications. Each set of caps generally lasts for 4-6 weeks, so 1 package may last from 4-6 months. That means that Soft Paws® cost between $0.83 and $1.24 per week. The length of time that a package of Soft Paws® will last may vary for your individual cat, and the time may be shorter when you first start using them. However, with some practice applying them on your part and your cat becoming accustomed to wearing them, 4-6 weeks per set is the average. If you're unable to get the claw caps on your cat, don't worry. Many groomers, vets, and mobile vets will apply them for you for a reasonable price. Just check around to find someone near you. Cancel that declaw appointment and try Soft Paws® instead. Your cat will thank you for it.